This book is one of my favorites. 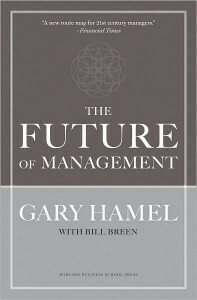 The Future of Management is written by Gary Hamel, known as an expert within leadership and business organizational development. One of the reasons I like the book is that it is very close to my own thinking about how to set up and run a successful business. A success that gives the customer an excellent value and that makes the personnel happy and makes a good profit. In the book Gary Hamel describes several companies that have a diametrical opposite view of how to run a business – and they succeed. Some of the companies mentioned are Google, Gore, and Wholefoods market. Those of you that attend my training sessions and seminars know that I also talk about them as I have studied them further. The book is divided into four parts. The first part describes why management innovation matters. The second chapter talks about the management innovation in action. The third part describes how we can imagine the future of management. 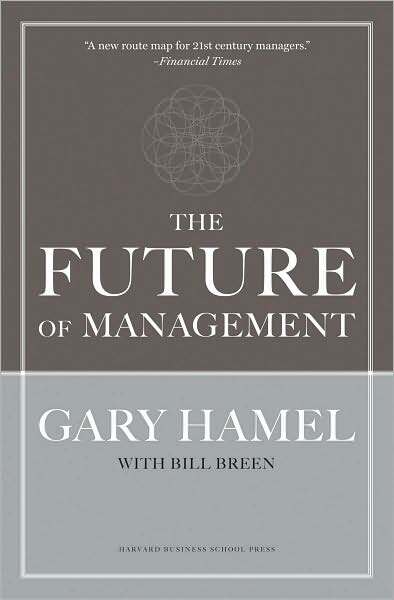 The last part teaches us how to build the future of management. This book is a must for all who are interested in how we are going to spend the rest of our lives, that is the future, when it comes to business organizations. Previous Post Is effectiveness implemented at the price of bad service? Next Post Leaders Who Are Psychopaths Do Not Create a Good Organization!